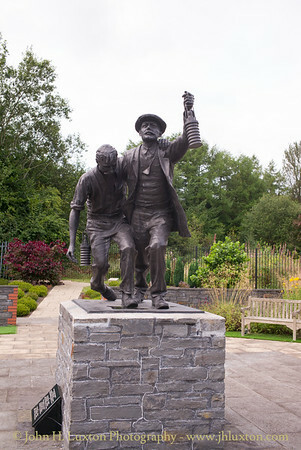 The Senghenydd colliery disaster, also known as the Senghenydd explosion (Welsh: Tanchwa Senghennydd), occurred at the Universal Colliery in Senghenydd, near Caerphilly, Glamorgan, Wales, on 14 October 1913. 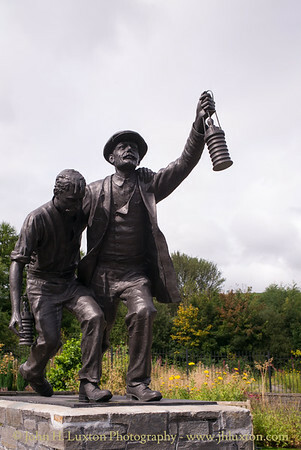 The explosion, which killed 439 miners and a rescuer, is still the worst mining accident in the United Kingdom. 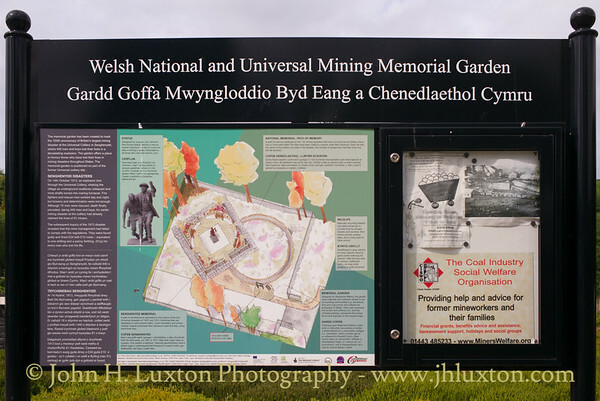 Universal Colliery, located on the South Wales Coalfield, produced steam coal which was much in demand. 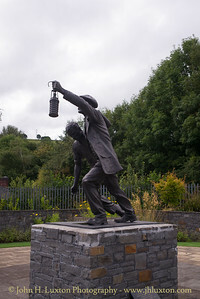 Some of the region's coal seams contained high quantities of firedamp, a highly explosive gas consisting of methane and hydrogen, and were prone to explosions. 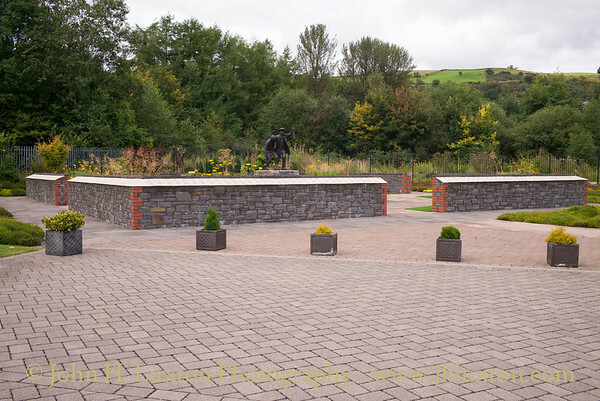 The Memorial Garden was opened on the 100th Anniversary of the disaster - October 14, 2017. 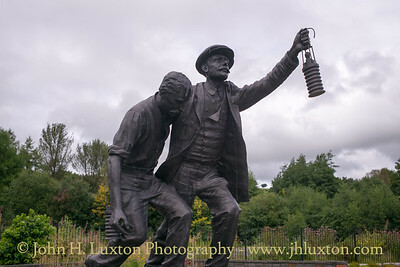 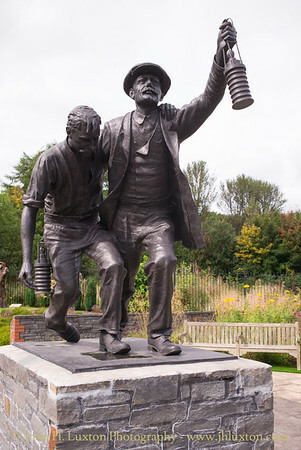 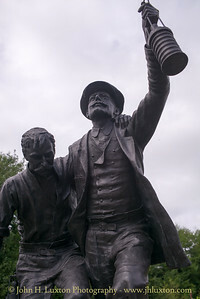 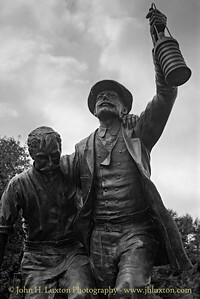 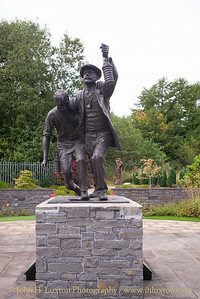 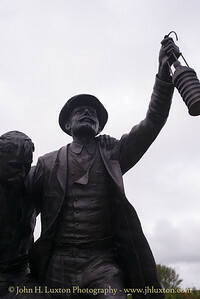 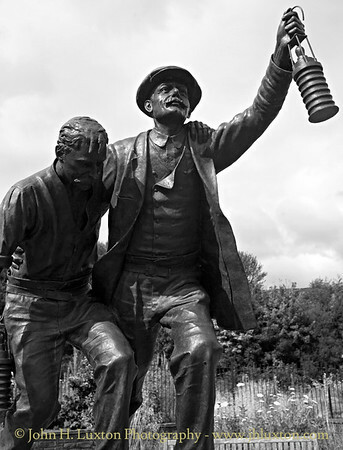 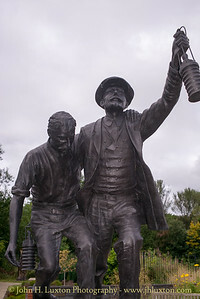 The bronze sculpture of a miner and rescuer was unveiled on the 100th Anniversary of the Senghenydd Disaster - at 08:10 on October 14, 2013. it was designed by sculptor Les Johnson. 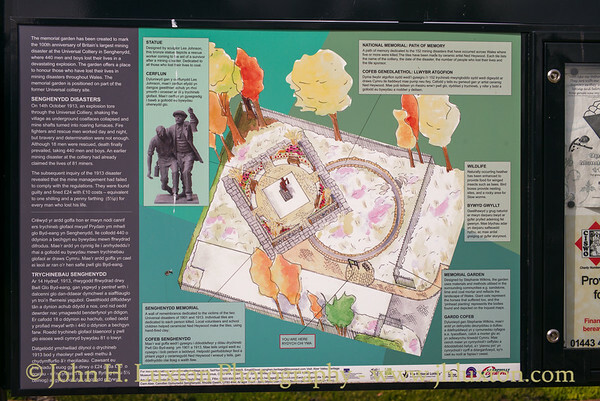 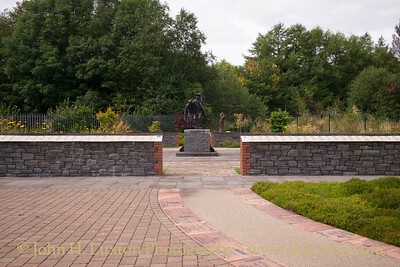 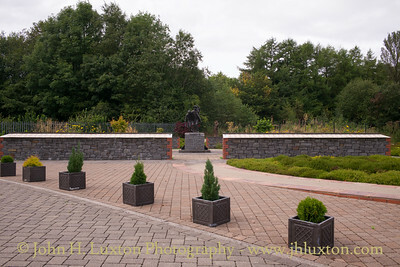 General views of the memorial garden. 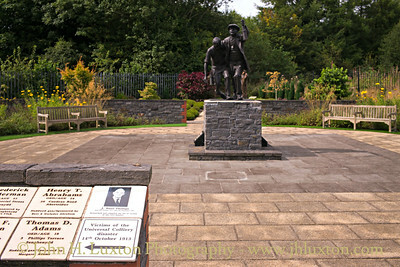 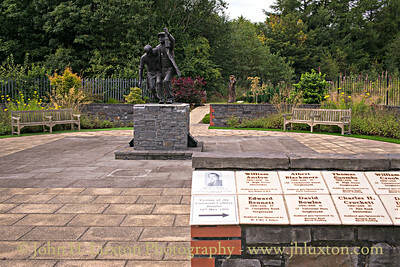 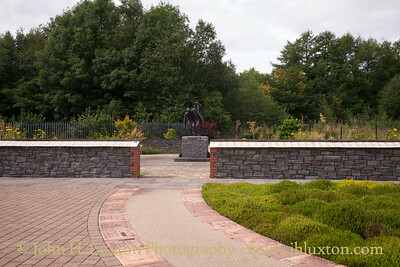 Plaques commemorating other colliery deaths associated with The Universal Colliery, Senghenydd. 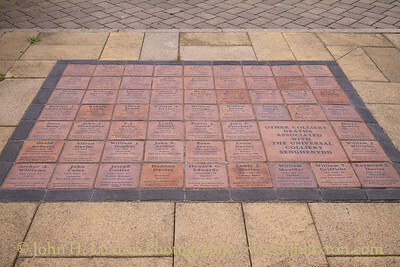 Tiles mounted on the wall surrounding the sculpture record the names of all the miners who died in the Senghenydd Disaster.